How is a photograph created? Through light. Actually, every aspect of photography is dependent on light: light is what is captured by the film, light reflects off different objects making them visible and creating color. Well, what happens, when there is no light or there's only little of it? 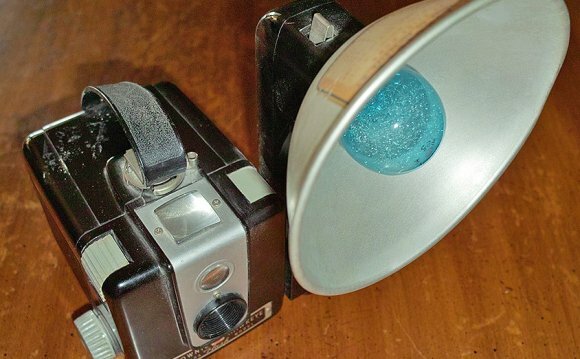 In this article we will explore every aspect of the artificial lighting evolution starting with early chemicals, flash powders, and moving on to flash bulbs and electronic flashes. In the early days of photography, the only source of light was, of course, the sun. So mostly photography depended upon long days and good weather. It was obvious that artificial light would be indispensable: not dependent on the sun anymore, pictures could be taken where natural light wasn't sufficient, or on dull days when studio work was impossible. Attempts of using limelight and other chemical sources for lighting the picture can be considered to have been a failure, either because they did not contain the rich blue, that the plates of the day required, as well as due to the chemical's low intensity. The technology of the wire wasn't too complicated. Magnesium was burned as a wire or ribbon twisted into tapers or clockwork lamps with a reflector. There were different lamp designs, each for different use. Despite different ways of using the magnesium, there were no ideal variant for this method.